Nations Press health WARNING!!! !Never leave you phone beside you while you're sleeping -HERE'S WHY! WARNING!!! !Never leave you phone beside you while you're sleeping -HERE'S WHY! 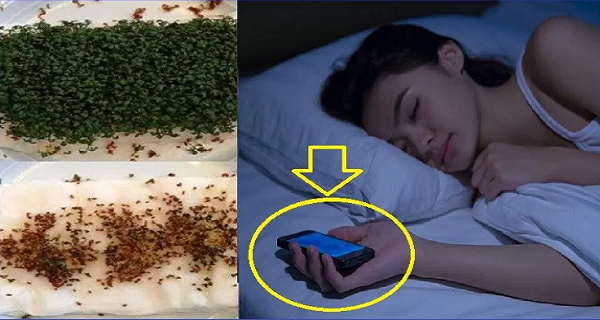 SPONSORED LINKS "Reasons to never sleep while your phone is beside you"
Some people are so attached to their cell phones that they sleep with them on their nightstand or even under their pillow. But these must be stopped. But why? You aren't hurting anyone, that's when you're wrong. Your screen gives off blue light that can keep your brain awake and affect the quality of your sleep. There are physical and psychological considerations to bear in mind. Without giving your typing and swiping fingers time to rest, you increase your chances of tiring our your tender fingers. Also, we can't have a deep sleep because we think there might be an emergency and an important message regarding work. This is more about habit and comfort than absolute need. If you think you must have your phone within arm's reach at all times, try to break that habit. Follow these steps for your own benefit: examine first the phones we are using and follow these tips: 1. Keep phone calls to a minimum 2. When not in use, set your phone into airplane mode. 3. Don’t sleep anywhere near a turned ON phone. 4. You may use a headset when taking calls. 5. Look for a good reception so your phone uses less power.